One of the big questions new runners have is what to wear to run in the cold. 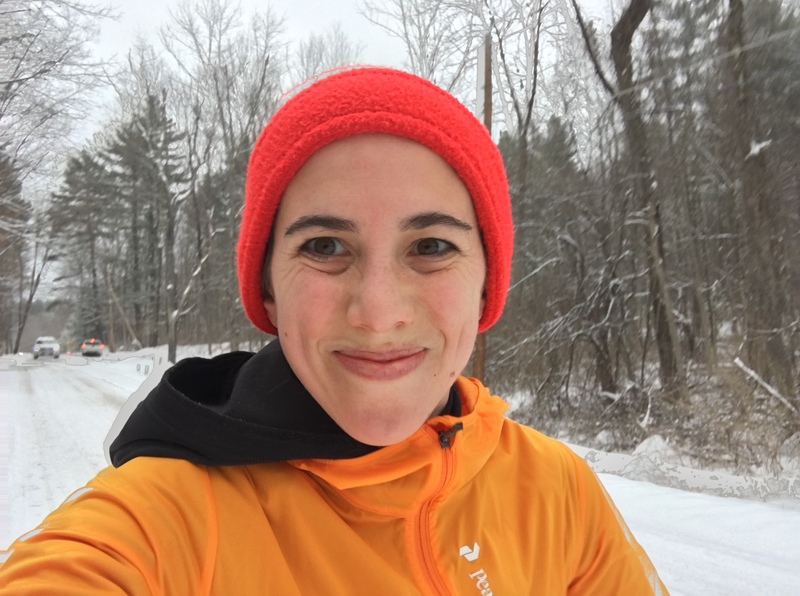 Once I got semi-committed to running, the last thing I wanted to do was take the winter off, or worse, sequester running into an indoor activity. I really do not like treadmills. Running outside in the winter is badass and can lend itself to gorgeous, scenic runs. Water-wicking materials: Generally speaking, to dress for a winter run make sure you’re wearing water-wicking material. Cotton gets wet, and stays wet and that can leave you cold and uncomfortable. Your outermost layer should be water repellant and your inner layers should be non-cotton but breathable, so you know, spandex. Adjustable clothing: Everyone knows as you run, you heat up. I prefer to wear clothes that have zippers so I can lock cold air out at the start of a run but unzip to get some fresh air once I’ve picked up speed and heat. Layers are also helpful for adjusting your temperature mid-run. I also like to have pockets on a run to stuff gloves or a hat in if I get too hot mid-run and want to remove them. Cover your extremities: Gloves or mittens and ear warmers are critical. Toes, ears and hands are the first to hurt from cold and windburn. My nose also gets cold but it bothers me less. Cover all of your skin: I like to wear high socks over my running tights to make sure there is no exposed skin. I don’t want any part of my body getting wet or cold if I splash in a puddle or pile of snow. Some people also like to wear a balaclava, but I find that my breath makes it too wet and then it’s uncomfortable against my face. Here’s an example of what I wore in 25 degree weather with a ton of snow already on the ground and some light flurries still dropping. (See photo above for the look I’m describing.) Note: I happen to be wearing a lot of Lululemon gear on this run, but that’s not always the case. Sierra Trading Post is a great website for discounted technical clothes. Layer 3: Something a little heavier to keep you warm. This should also not be cotton. 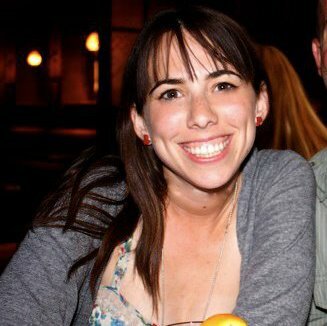 I wore a thick Lululemon winter running top. I bought mine 5 years ago, and it looks as good as new. It’s worth the investment in my opinion. It’s sort of similar to this current season one, but mine has a hood, and folds all the way over my hands. This is thicker than the Layer 2 but not bulky. Layer 4: Something to wick the wind and water away. I looked for a running rain jacket for ages before finally purchasing the Peak Performance Silberhorn Wind Jacket on Sierra Trading Post. It’s light. There is zero insulation in it, but I wanted an all-season rain/wind jacket. I love it. It kept me happy and dry on yesterday’s cold run. Just one layer: Winter-weight running tights. I have the Lululemon Toasty Tech Tights. Lulu only sells these for about month, so grab them while you can! These North Face ones looks good, too. Head: Pictured above I’m wearing a fleece, ear-warmer I found in the closet at Matt’s family’s house in the Berkshires. But I also have a Saucony running hat similar to this one, that I really like. Hands: Pictured above I am wearing random gloves I found next to that ear-warmer but I have thin Lululemon mittens that let you use your iPhone, too. Mine are older, but here is this year’s model. Toes: I have a few pairs of SmartWool socks that I absolutely love. In the photo above, I happen to be wearing Lululemon’s Runderland socks. They have excellent arch support. Wool socks are critical since there’s a good chance if there is snow on the ground, you’re feet are going to get wet. 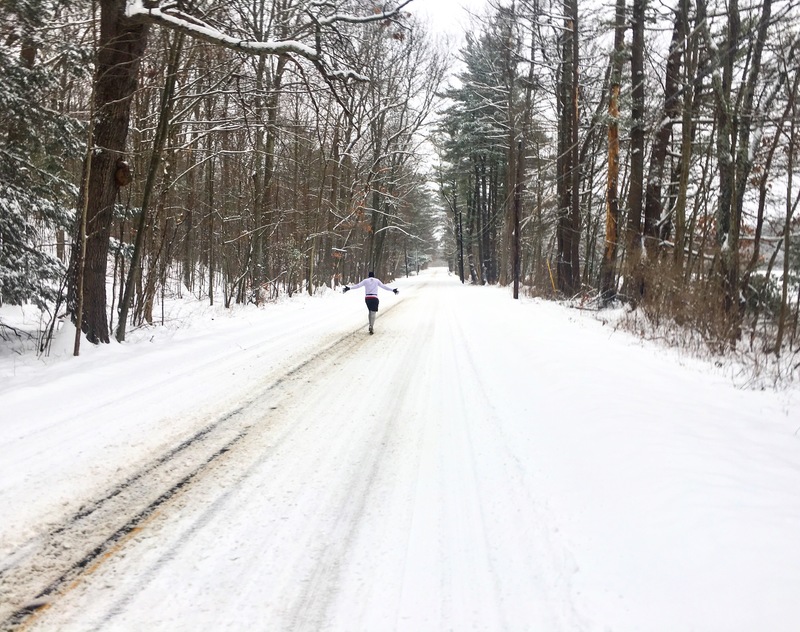 Some more winter running tips here. 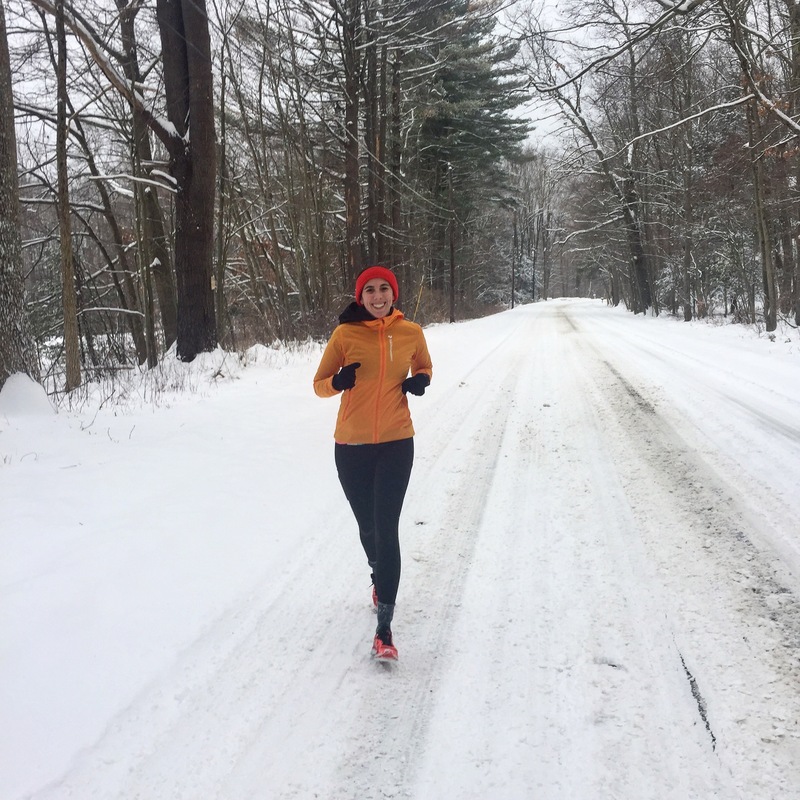 Any favorite winter running clothes to share? Tell me everything! These are great tips for the glorious day when I start running again. In Canada. So far this winter I am all about the vest. I wound up buy a bunch of tops for winter running from athleta – today I wore a fastest track tee + fastest track long sleeve + rock springs vest + under armour lined tights and was just on the verge of too warm. I never thought I would adjust to the cold weather running (years past am on a treadmill 100% by now – but this year don’t have a gym membership!) but I am loving it so far. Ask me again in a month though. INTERESTING. I am not a huge vest person but that sounds like a smart combo! !